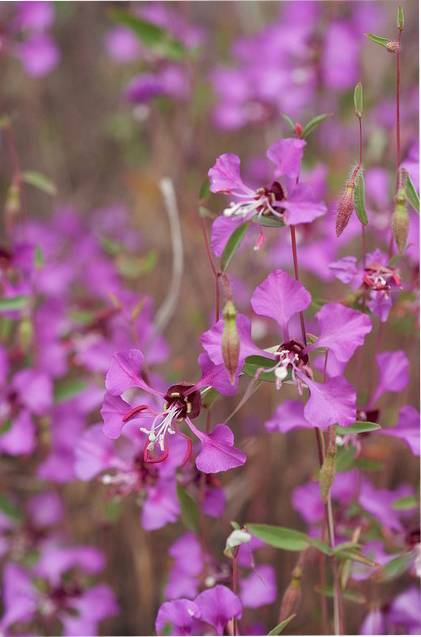 All Clarkia species dislike hot humid conditions, so in warmer areas seed should be sown in Autumn, so the plants will flower before the Summer heat becomes intense. In colder areas sow in early Spring. Commonly grown in a wide range of colours from pinks, purples and shades of red. The petals are often splashed with red or white. The flowers are long lasting and are very popular for floral display.